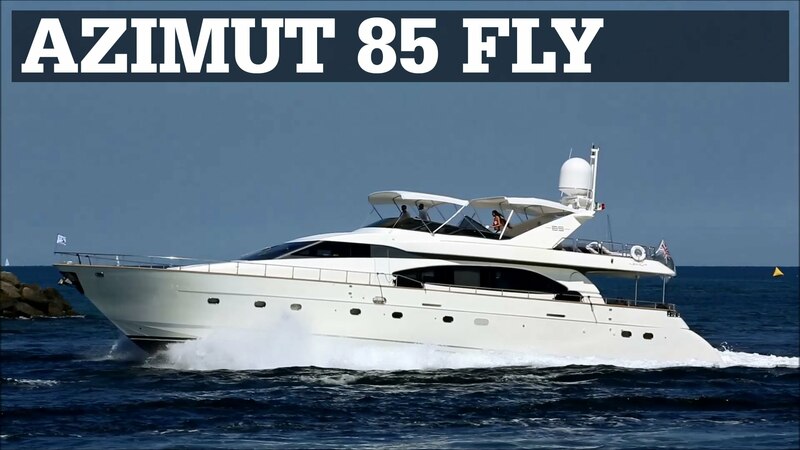 Gilliana is luxury Mediterranean France based Azimut Ultimate 85 charter motor yacht. Gilliana offers elegance, refinement and a taste for all the pleasures in life. 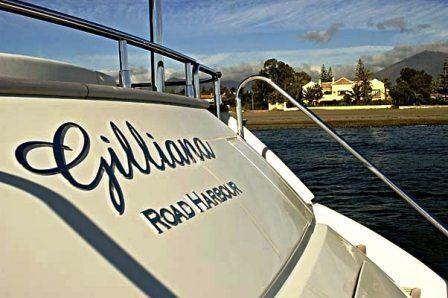 Gilliana is a luxury yacht which offers state of the art living in both the interior and the exterior. 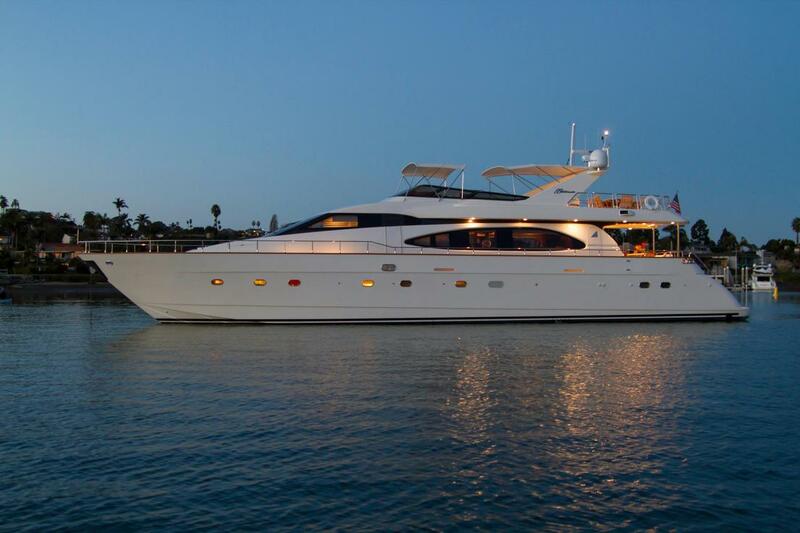 The vast sundeck is a popular relaxation area equipped with a barbeque, wet bar and relaxing spa bath for guests to enjoy open air living. 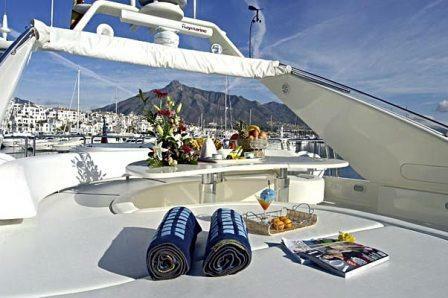 A sun canopy offers shade to maximise alfresco dining opportunities. 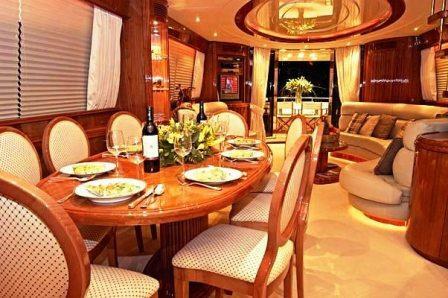 Her interior is airy, modern and comfortable but simultaneously warm and welcoming. Gilliana was designed and built to the highest European standards, including beautifully crafted wood joinery work, fittings, and practical noise suppression technology. 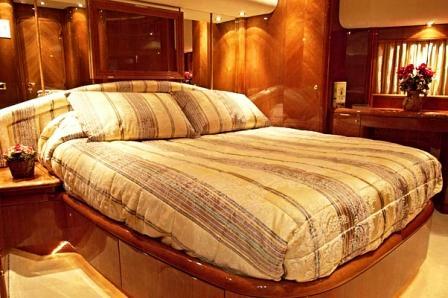 Gilliana’s large open upper deck area features a full length bimini, a teardrop table dining area, a CD music player & radio, a wet bar, as well as a mini-fridge & barbeque. 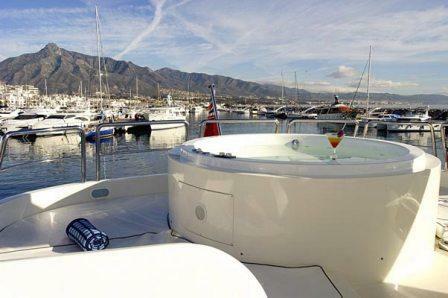 She also boats a great sunbathing platform and large hydro massage tub (Spa Pool). 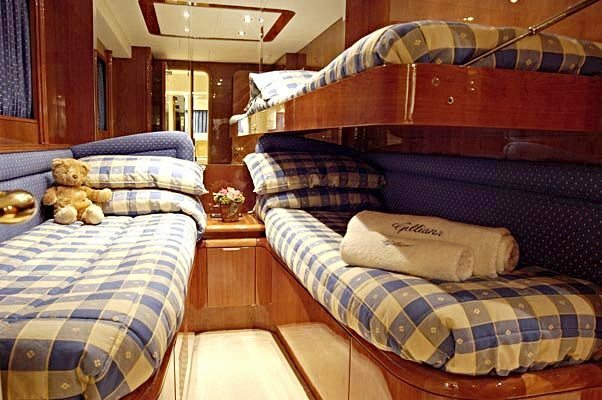 Her aft garage neatly conceals the tender & water toy equipment at her transom where a shower is also positioned. 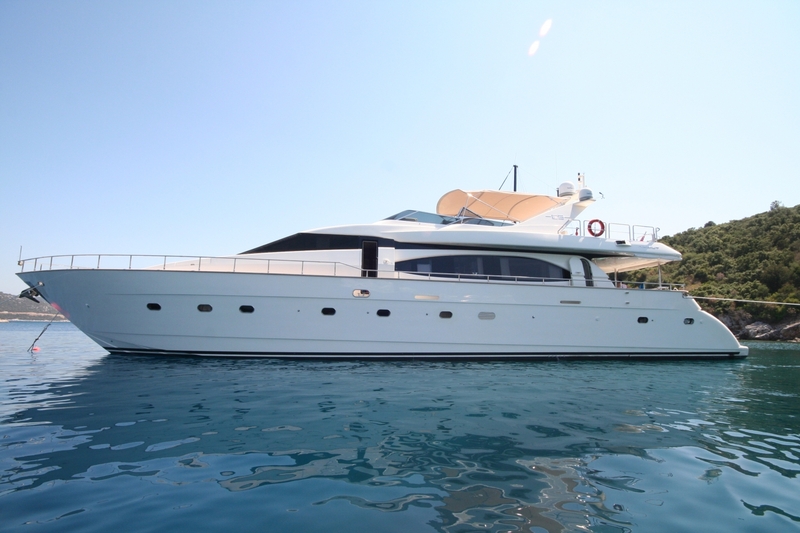 France based luxury motor yacht Gilliana offers 8 to 10 charter guests comfortable accommodation. 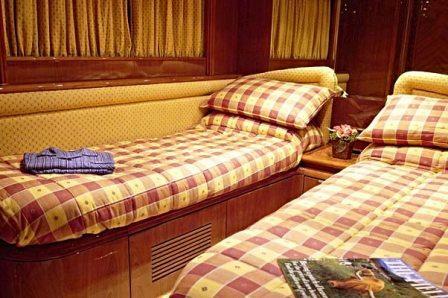 She has a master double cabin, which offers spacious comfort and privacy, having been lavishly panelled in cherry wood as well as luxury Italian marble. Gilliana's subtle lighting and plush carpeting adds to her subtle ambience and relaxation. The master cabin also has a lovely private en-suite shower room. 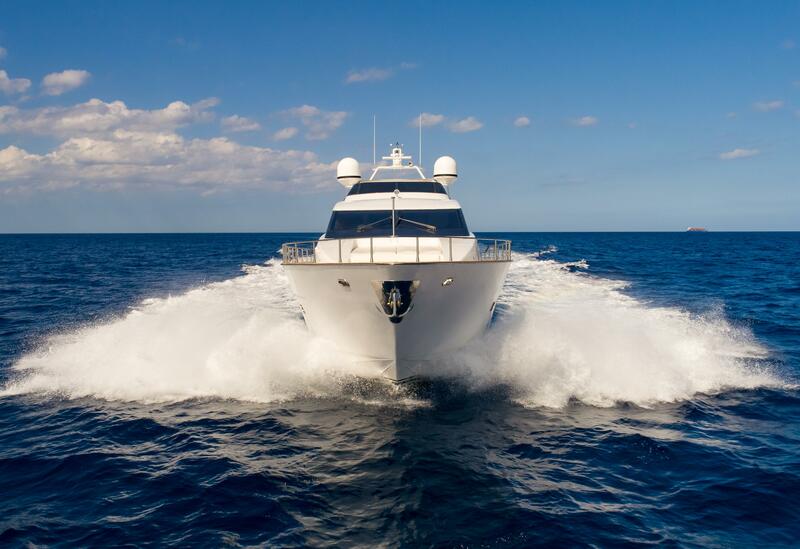 Motor yacht Gilliana's additional accomodation includes a tastefully appointed luxurious double VIP cabin and two twin cabins - with the option of an additional pull down Pullman berth in each twin cabins. 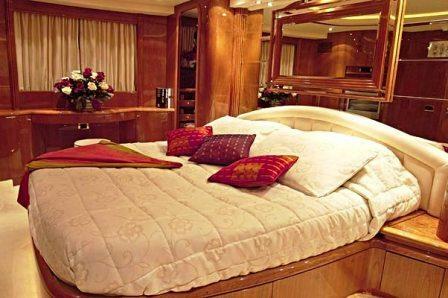 She also provides two very large staterooms. 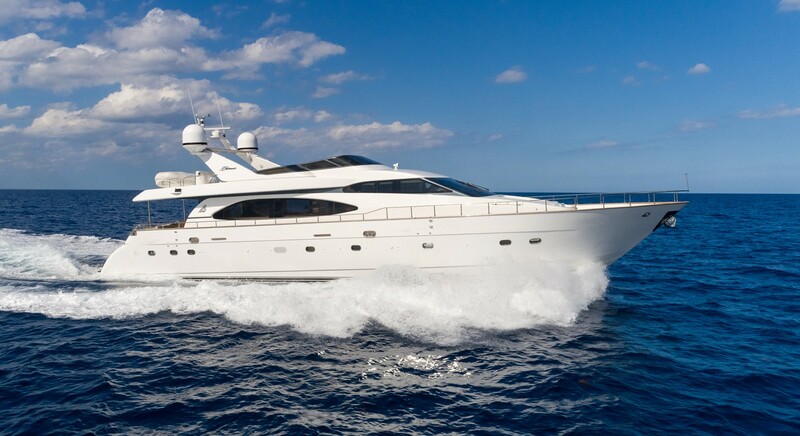 Luxury motor yacht Gilliana offers the following amenities and extras: In her saloon she has a Sony flat screen TV, a Gyrotrac satellite receiver-Sky, a VHS + Sony DVD, DVP NS-300., a Bose music system with 6 CD charger (with 5 surround sound Bose speakers). 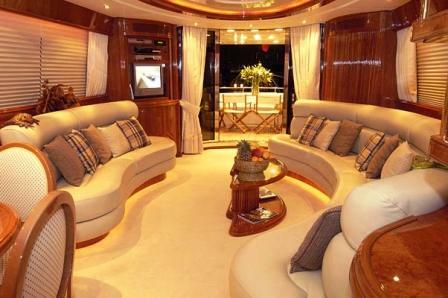 Both Gilliana’s Master cabin and VIP cabins have Sony flat screen TVs (with VHS) and Sony CD players. The twin cabins have Sony CD players as does the Fly bridge. 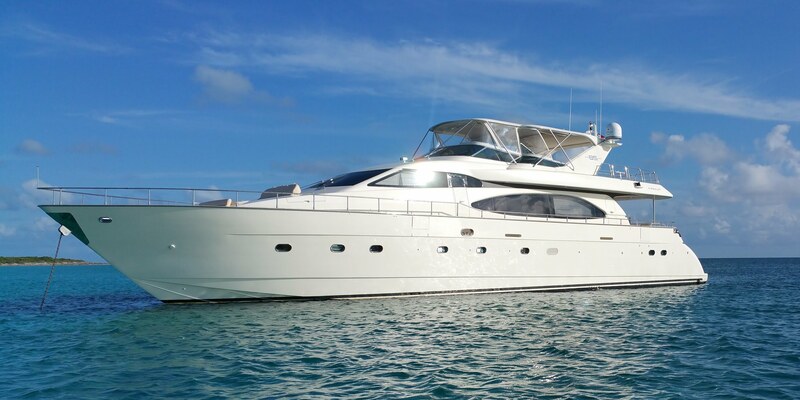 For outside water toys she offers a Zodiac Projet tender (420 83hp jetrib), 4 sets of scuba equipment and a Bauer dive compressor, as well as 4 sets of snorkeling equipment. There are also water-skis, 2 ocean kayak canoes, an inflatable 3 man banana. 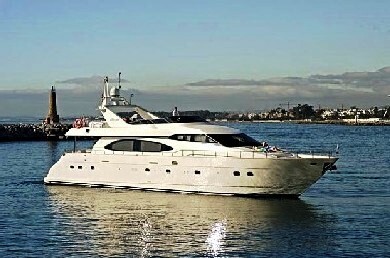 She has 2 powerful 1,500 hp MTU engines, air conditioning/heating, bow thruster, and Water maker.